Split Airport is the closest airport to the town. Visit our Getting to Split page for full details on which airlines fly there from the UK and Europe. From Split Airport, take a bus to downtown Split Bus Station. From here, there are numerous buses per day (see the website for timetables) – journey time is 1 hour and 15 minutes. You can also see some bus timetables on the Promet Makarska website. Initially a Illyrian settlement, the Romans settled in the area in the early centuries AD. By the 7th century, the Slavs had come to the region and created a number of small settlements in this part of the coast. After brief rule by the Venetians from 1452, Markarska feel to the Turks in 1499. An important Adriatic port and base for them, the Turks developed Makarska and built a fortress there in 1568 to protect against any Venetian threat. However, the town then once again came under Venetian control in 1646 (although the Turks retained some control until 1684) under which it stayed until the fall of the Venetian Empire in 1797. Under the French (1806 – 1813), the town enjoyed a period of growth and development, with some additional infrastructure built. Croatians at this time also gained more rights. However, when the Austrians took control in 1813, as with much of Dalmatia, they enforced a process of Italianization and Italian – instead of Croatian – became the main language. The early part of the 20th century saw tourism start to develop; the town’s first hotel was built in 1914. Tourism boomed in the 1960s and 1970s when part of Yugoslavia. After Croatia declared independence in 1991 and post the war in the early 1990s, Makarska is once again a popular destination today. One of the main sights in the town is the Franciscan monastery, which was founded by Bosnian monks and built in 1614. The basement of the monastery houses a Malacological museum which apparently has the largest collection of snails, shells and mussels in the world. Fossils from the region are also on display. Another important sight is the Church of St. Mark (Crkva sv. Marko), on the main square (Kacicev trg), which was built in 1776. 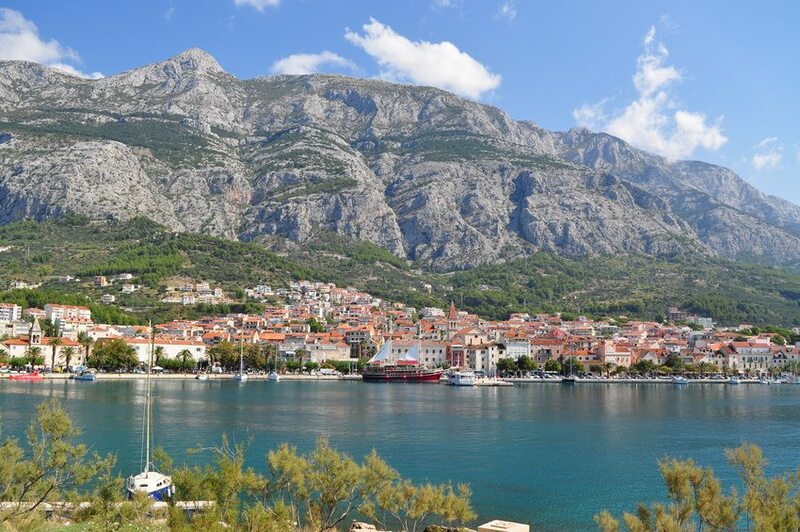 Please see our Accommodation in Makarska page for various options in the town, including hotels, boutique hotels, apartments, rooms, private accommodation and villas. More information can be found at Makarska.com, Makarska-Croatia.com and Makarska-Online.net.